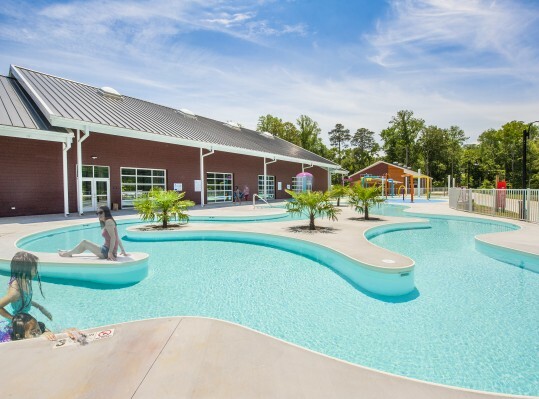 As part of community outreach efforts, RRMM Design Build and RRMM Architects are donating construction and design services for the Aquatics Center, located at JT’s Camp Grom Adventure Park. 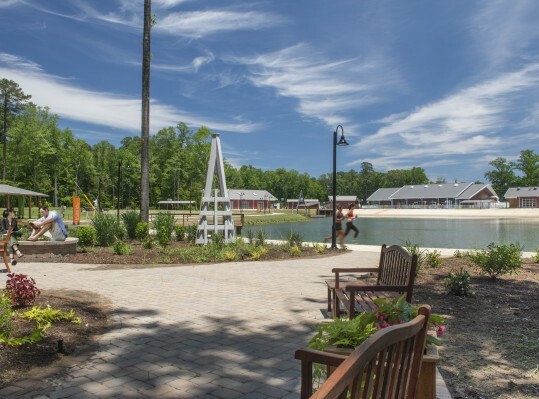 RRMM has partnered with the Virginia Gentleman Foundation and Gold Key PHR to create a 70-acre adventure park that is 100% handicapped accessible and is the only facility of its kind on the east coast. 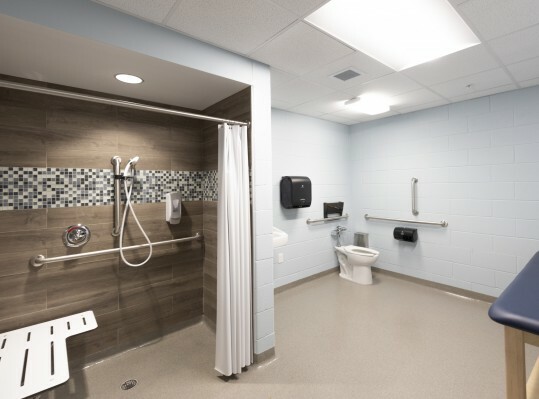 The center is designed for wounded war veterans, adults and children with special needs, as well as their families. The center will be comprised of a main pool area flanked on each end by separate, yet integrated wings. 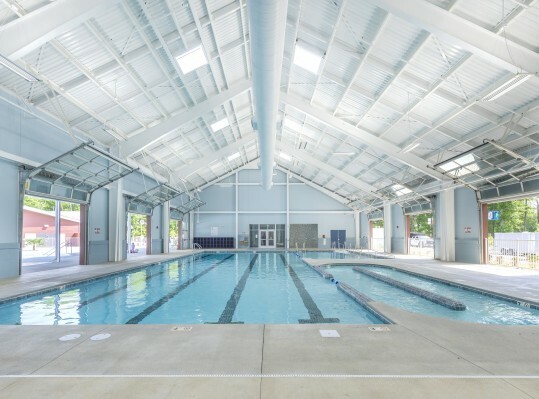 The indoor pool area will be approximately 11,627 SF and is enclosed with a pre-engineered metal building skinned with red Hardi-plank siding. 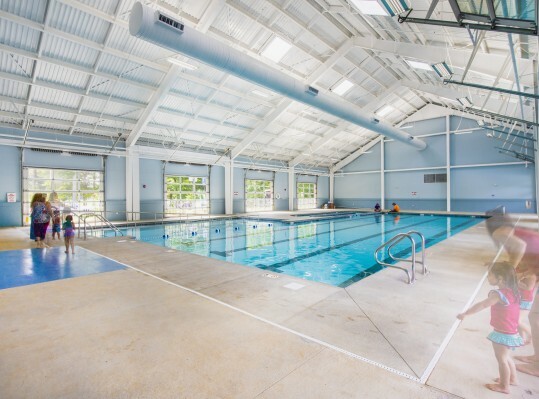 In order to provide the desired open flow between the indoor pool and the immediately adjacent outdoor splash park and lazy river, large overhead rolling glass doors will be installed to line the front and back exterior walls. 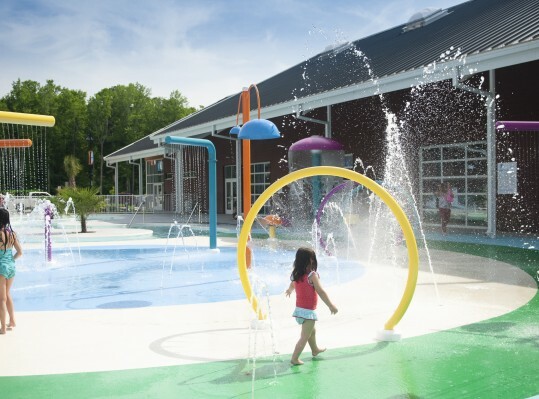 A 25-meter wheelchair accessible main pool, a small lap pool and a swim/rinse shower station will also be installed. 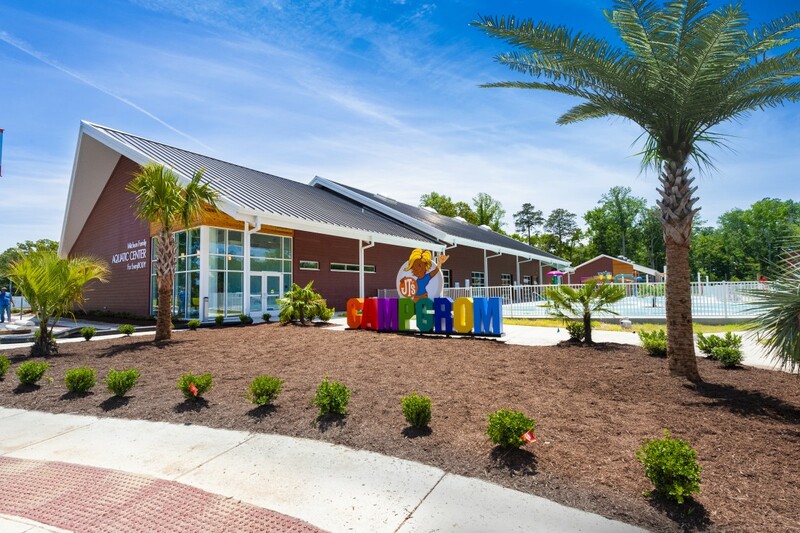 The conceptual design of the Aquatics Center is intended to retain the overall Camp Grom theme, which is a beach surfer design aesthetic, consisting of exposed wood soffits and exterior columns, lapped siding and metal roofing.